That's a really cool pic! Looks like you just got photobombed! BOL! What a sweet picture of you both. 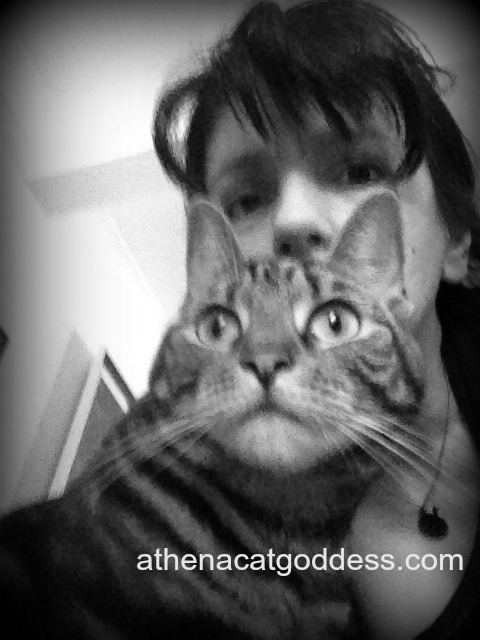 Love the expression on Athena's face! Lovely selfie of both of you. Sweet! Have a great day. Hi guys! We get double beautiful and B&W! Pawsome Selfie! Have a great Easy! Oh! Oh! Oh! What a beautiful selfie!! Such a nice photo with Mom! love how you did it together! Great selfie of you and your mommie. Aw, we love how you BOTH did a selfie together!